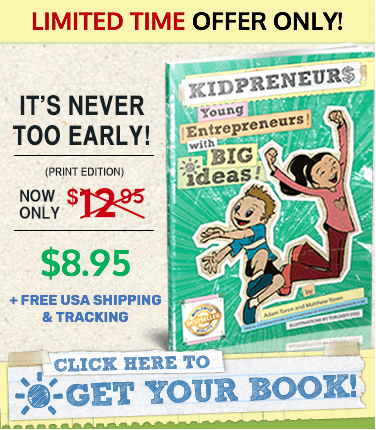 How to become a YouTuber and published author at 6 years old - Kidpreneurs - Young Entrepreneurs with Big Ideas! Isha Pani (Ice to her family and friends) is six years old. Like most kids, she loves playing with her friends, dressing up American Girl dolls, and solving puzzles. Ice is a swimmer, ice skater, ballerina, and gymnast. She’s also a YouTuber and the author of the cookbook Elementary Cooking: Fun Ways to Introduce Cooking to Kids. Ice is incredibly talented, but she’s not so different from any other six-year-old—she just turns her bright ideas into reality with the help of her family. We were fortunate to interview Ice about her cookbook, her YouTube channel, and her dreams for the future. How old were you when you first had the idea to write a book? I was five years old when I started working on my book. I did a one-page “show and tell” project for school. That made me think about writing a book. 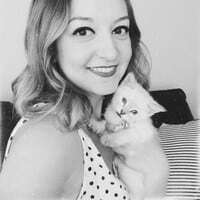 What motivated you to want to create a cookbook? As I watched my mom cook, I started to ask her about ingredients and how she prepared yummy food. I started to help her out. Then I started writing step-by-step recipes. This was the beginning of my cooking world. Now my cookbook is now on Amazon. What was your biggest challenge in writing your book, and how did you overcome it? My biggest challenge in writing my first book was to think of recipes that were kid-friendly. I overcame that by making each one more than once, and making sure they were healthy and easy to make. You make YouTube videos look easy. Were you nervous about creating videos at first? What do you like most about being on YouTube? I love playing with my iPhone, so I recorded a few videos. That’s how I started getting comfortable with making videos. When my friends tell me they enjoyed watching my videos on YouTube, it makes me feel good. You’re active in beauty pageants and a big fan of American Girl. How did you feel about becoming an American Girl runway model? What was the experience like? I started beauty pageants after I got my first American Girl doll. Me and Shaisha (my doll’s name) used to dress up together, and my parents would take pictures. One day, our family friend came home and they noticed our matching outfits. They said, “Ice, you look so beautiful. Why don’t you try beauty pageants?” My parents showed me a video of a beauty pageant and enrolled me. Then I started buying dresses and learning to dance. I’ve always admired American Girl dolls, not just because they are beautiful, but [because] American Girl books will teach you great things like confidence, bravery, and following your dreams. It was a great honor to be part of American Girl. The experience was great; I got to meet so many talented kids and make many new friends. What are your plans for the future? Will you write more books? I will create more books for my friends and myself. It makes me happy to share my ideas with my friends all over the world. In my next book, I would like to incorporate more technology to make it more fun, like coloring with an iPad or computer. What do you think about the Kidpreneurs concept of teaching kids entrepreneurship at a young age? I have seen many articles on Kidpreneurs about how kids do cool things they enjoy. I recommend Kidpreneurs to every parent and kid. What advice would you give young kidpreneurs who want to write their own books like you did? Start soon—don’t wait for some day to start. I enjoyed writing my first book. I hope you will start soon and share with everyone what you love the most.